The Reinauer Transportation Companies (RTC) tank barge ROCKLAND underwent a scheduled ABS survey and gauging. ROCKLAND is a 67,000-barrel, ABS classed tank barge. The gauging survey identified a significant number of areas of steel requiring replacement. These included side shell and bottom stiffeners and a considerable portion of the main deck. 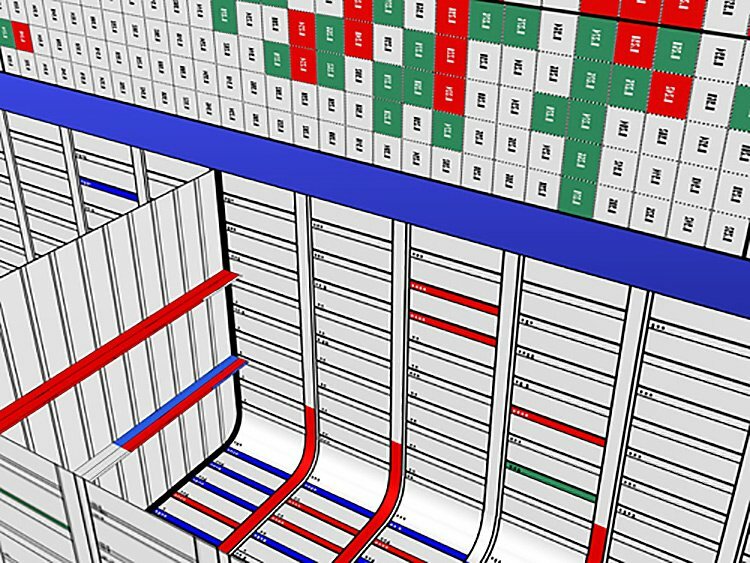 It was difficult to interpret the 200-plus page gauging report and devise the most efficient plan for steel replacement without a visual “map” of the corrosion. RTC requested JMS analyze the gauging report and convert the data into an easy to read, color-coded format. The visual format would allow RTC and the shipyard to clearly see the sections of vessel plating and associated stiffeners that required cropping and renewal. This allowed for a quick determination of the scope of work and efficient planning and budgeting by the shipyard. ABS requirements state that all steel that has been gauged at or below 75% of the rule required thickness must be renewed at the rule thickness. ABS defines substantial corrosion as steel that is gauged between 75% and 81.25% of the required rule thickness but replacement of steel in such areas is not required. However, if not replaced, ABS requires these areas to be gauged annually, which requires the vessel to be removed from service. JMS developed an excel spreadsheet that used Visual Basic programming to read the gauging report. 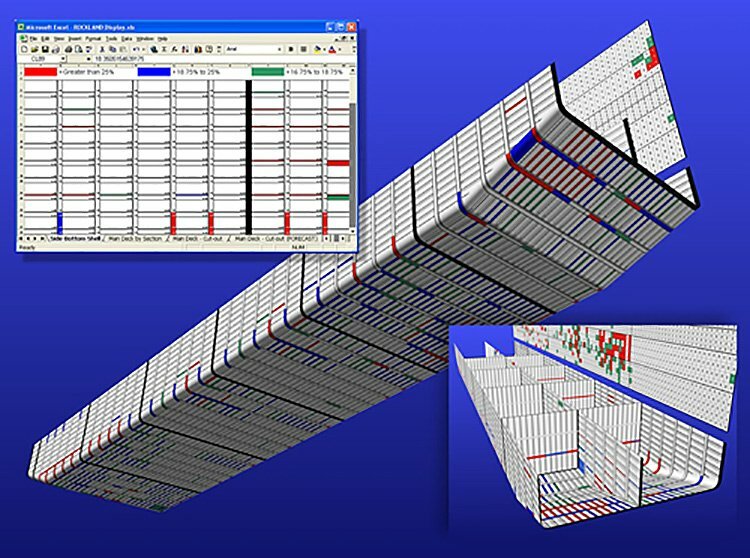 The JMS spreadsheet arranged the width and height of the columns and rows to visually represent the plating as well as the web and flange of the associated stiffeners. The values from the gauging report were placed into the corresponding locations and each cell was color-coded based on the value of the gauging. All areas that were gauged less than 75% of the required thickness were colored red and areas of substantial corrosion were colored blue. RTC was also interested in a prediction of the hull condition at the next scheduled survey in five years. JMS highlighted structural members that gauged between 81.25% and 83.25% of required thickness in green. This corresponds to a 2% corrosion rate over five years. If gaugings within this range were located adjacent to sections that are to be removed during the current steel replacement, it would be cost efficient to also remove the extra steel now rather than wait until the next scheduled survey.